In Christchurch it looks like summer is fast dissapearing over the horizon, and we're hurtling towards the winter rain and cold. Especially over the last few weeks where we've had two spells of torrential rain, flooding and gail force winds. How depressing! But in between we had a couple of gloriously warm days - good enough to have lunch al fresco with friends in the garden. 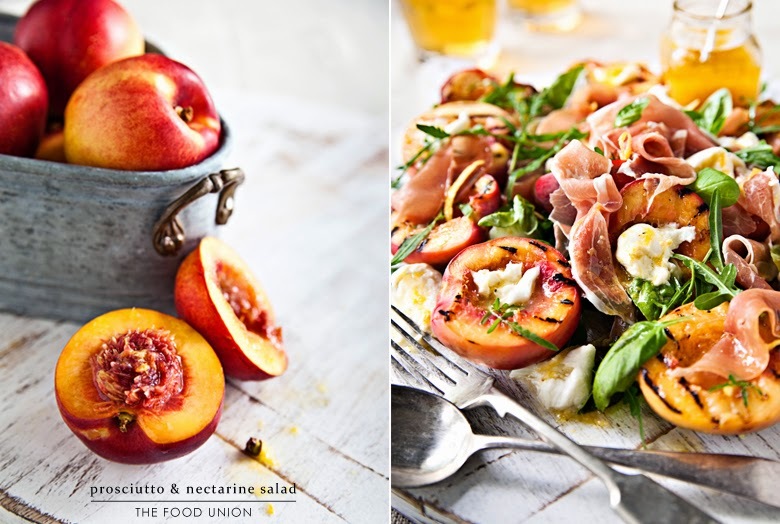 One of my favourite summer recipe is to use nectarines from the garden and toss together a summer salad. You can't beat this recipe for how quick and easy it is to prepare, plus the beautiful summer flavours. Enjoy! Heat char grill pan over high heat. When hot, add nectarine halves cut side down and cook for 1 - 2 mins until charred and tender. Turn over and cook for a further minute. Transfer to a serving plate to cool. Place all the dressing ingredients in a bowl and whisk until combined. Drain the boccocino and tear into bite size pieces. 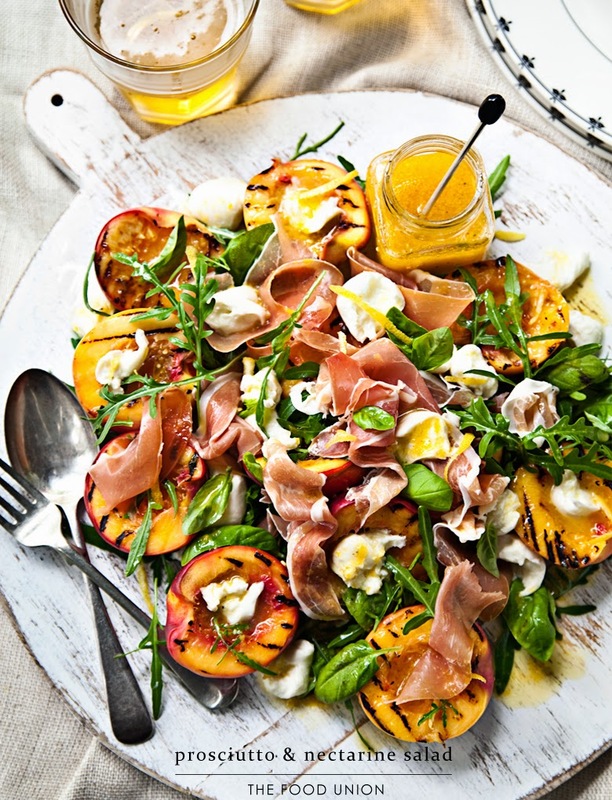 Garnish the nectarines with the rocket, basil, boccocino, and torn prosciutto. Top with orange zest strips and drizzle dressing over salad.